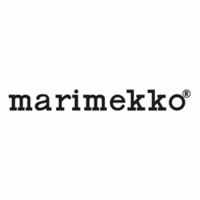 More about Marimekko Lumimarja Silver Bedding Indulge in luxurious linens that will carry themselves throughout the seasons. As the name suggests, Erja Hirvi's Lumimarja (Snowberry) print lends itself as a wintry floral, but the blooming tree adds dreamy sparkle to summer nights, too. The bronze branches and silver berries have a subtle yet striking shimmery finish that photos cannot do justice. The 100% cotton percale duvet covers are soft and irritant free, and easily unbuttoned from the insert of your choice (not included) for machine washing. 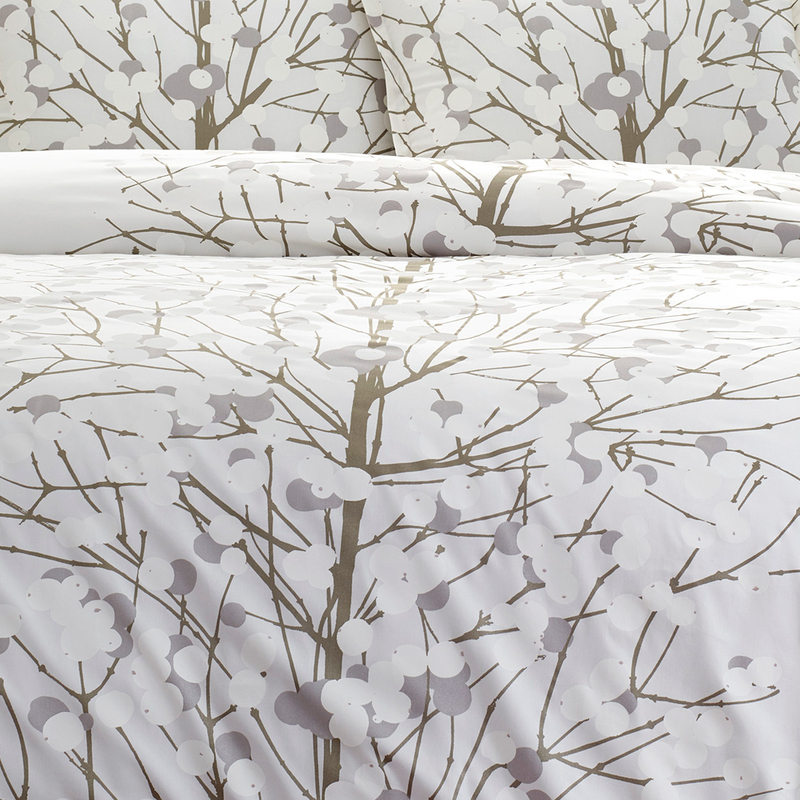 Is the Lumimarja print on both sides of the duvet cover or is the back plain? The pattern runs around the entire duvet cover. I have a tablecloth with this print with a light blue background that I purchased in Stockholm. Would it be possible for you to acquire the same color/pattern in a queen duvet cover? Unfortunately we are only able to carry what is made for the US Market and that style is not available to us. We list all possible bedding styles that the US Market has access to. Can the bedding be added to a wedding registry? I don't see it as an option. When logged in to your registry, you will need to go to the individual product page (the bedding size you would like) and there should be an "add to registry" link under the add to cart button or temporarily out of stock notification.